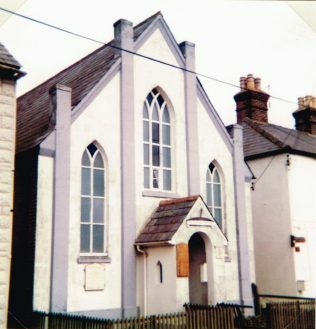 The first Primitive Methodist chapel in Shalmsford Street, Chartham, south west of Canterbury, was opened in 1874. The chapel in Keith Guyler’s photograph was opened in 1906. Although it was still open at the time of the picture in 1986, it has since closed and been converted into a house.